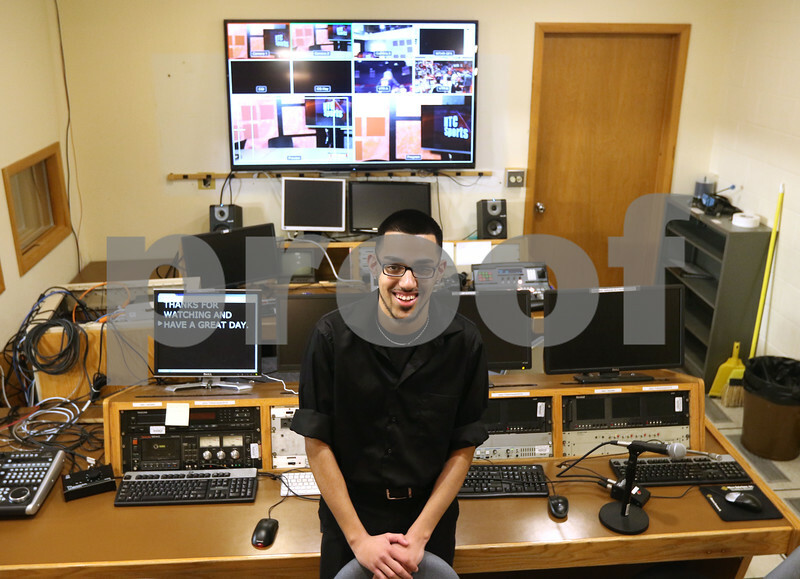 Northern Illinois University junior Mateo Avila in the conrol room of the studio Feb. 16, at the Northern Television Center building on the Campus of NIU. Avila grew up in Little Village on Chicago's southwest side. He credits many people with helping him achieve his goals including a nonprofit group called Bottom Line.